BRAND NEW IN BOXEIBACH SPORTLINE LOWERING SPRINGSVauxhall Astra 'H' 3 and 5 door Model year -20.. BRAND NEW IN BOXEIBACH PRO-KIT LOWERING SPRINGSFord Fiesta Mk7 Model year - 2012 onwards .. 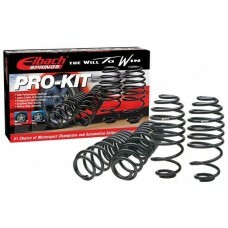 BRAND NEW IN BOXEIBACH PRO-KIT LOWERING SPRINGSFord Focus Mk1 3 and 5 door Model year - 1998-20.. BRAND NEW IN BOXEIBACH PRO-KIT LOWERING SPRINGSBMW 3 series Model year - E46 saloon and coupeEN.. BRAND NEW IN BOXEIBACH PRO-KIT LOWERING SPRINGSFORD FIESTA MK6 ST150Model year - 2004 ONWARDS C.. BRAND NEW IN BOXEIBACH PRO-KIT LOWERING SPRINGSVauxhall Astra H VXR 2.0 Turbo 2005 - 2010ENGINE SIZE.. 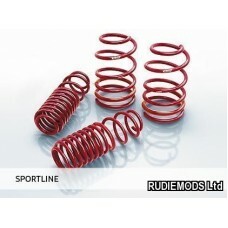 BRAND NEW IN BOXEIBACH SPORTLINE LOWERING SPRINGSRenault Clio Mk2/3 Model year - 1998-2005ENGIN.. BRAND NEW IN BOXEIBACH PRO-KIT LOWERING SPRINGSSKODA FABIA VRS Model year - 2003-2008 ENGI.. BRAND NEW IN BOXEIBACH PRO-KIT LOWERING SPRINGSHONDA CIVIC 2.2CDTi "FN chassis"Model year - 2005 onw.. BRAND NEW IN BOXEIBACH PRO-KIT LOWERING SPRINGSHONDA CIVIC TYPE-R 'FN2'Model year - 2005 onwardsENGI..